"What is the point of blush"
Well as the name suggests blush is there to mimic blushing which gives us a healthy glowing look for those of us (Like me) who can look very pale and tired without adding it. When I trained with a runway model makeup artist years ago, she told me how she would always brush a little blush or lipstick into the crease of the eyes to match the cheeks and or lips, its a brilliant way to bring a look together and at the moment I LOVE it! 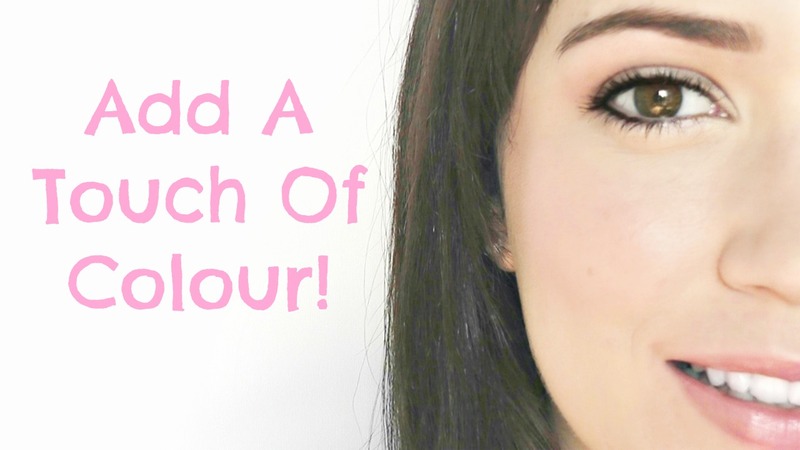 Take your favourite colour of eyeshadow something you never have the confidence to wear on your lid and smudge it under your eyes instead, its fun, easy and a great way to go from the office to a night out in seconds! If you find colourful eye makeup all too much but you are tired of your basic brown eye makeup just add a touch of colour on the center of your basic eye makeup and blend outwards. Great way to match your dress or accessories! Thanks for the tips, I will keep this in mind. However i don't think I will be putting blush on my lids, thats a little out of my comfort zone haha! Your tips are always so helpful! I've really been enjoying the beginner's make up series! I think I'm going to try the eyeshadow one. I've already done the lipstick to bring out your eyes and loved it! Babe, what's up with your face?